I am trying to build a process engine as above. 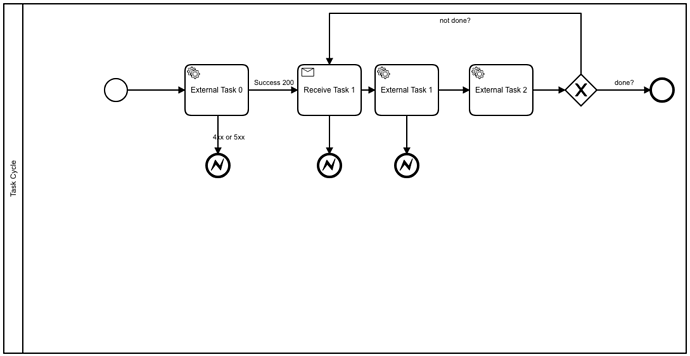 After completing external task 0, I wait for some notifications (receive task) and accordingly process ahead. The problem is that there are multiple notifications coming at a random time. Let’s say, I am executing external task 1 or 2 and suddenly a notification comes, then I will lose that notification because at this time message correlation is not possible. After I come back at receive task (If the process is not complete) then the correlation is possible. Is there any way I can save my receive tasks somewhere as they come and process them when the correlation is possible?